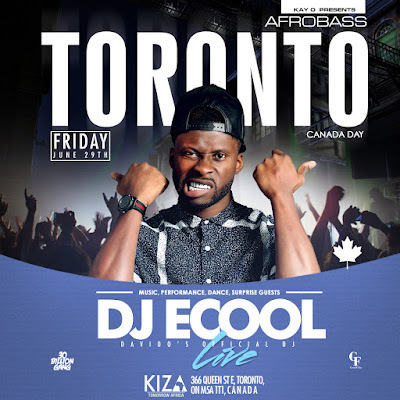 Multiple award winning Ace Disk Jockey, DJ ECool kicks off the first of his scheduled self-tour appearances for the year, in Canada. 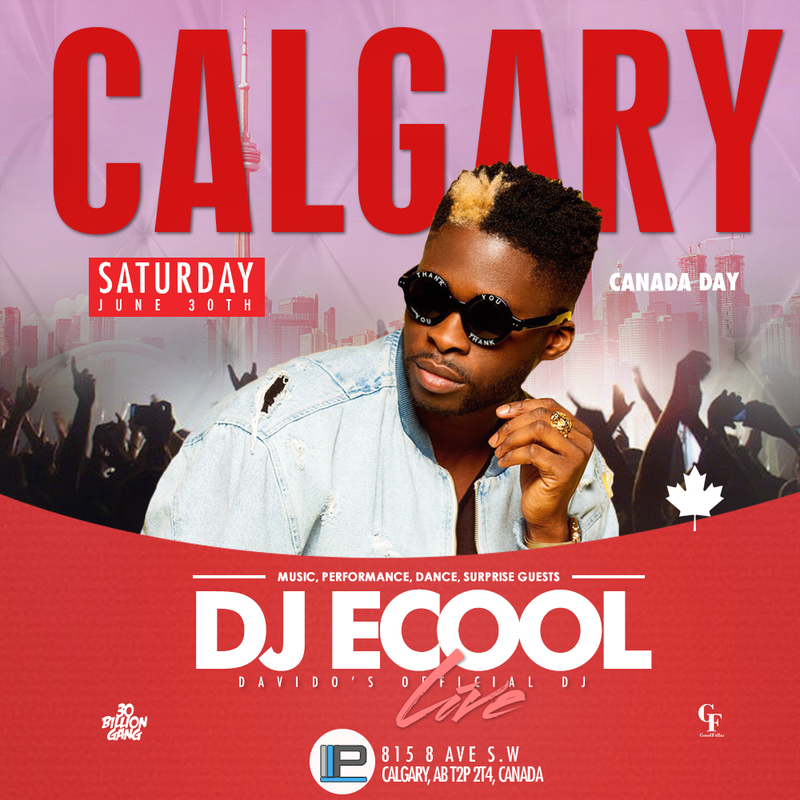 From his musical talent, his unique dancing skills, his fashion style and his infectious personality, he is recognized for being a well rounded ENTERTAINER. 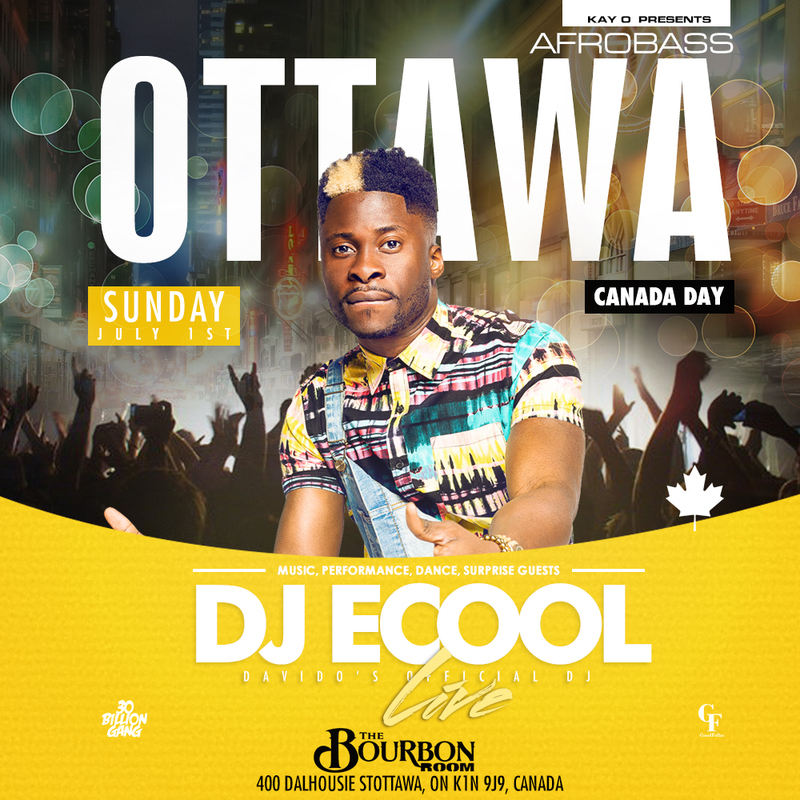 This tour is subtitled, "TheECoolXperience" and will blow your mind. 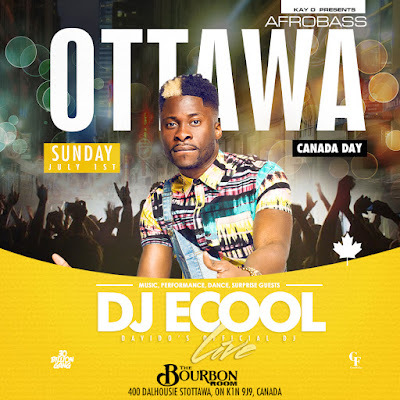 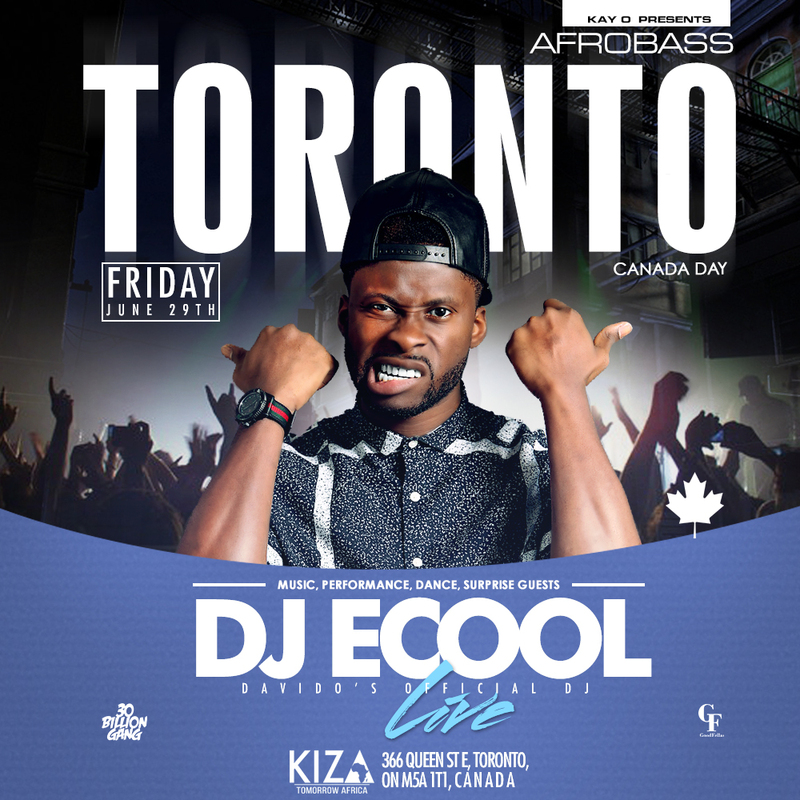 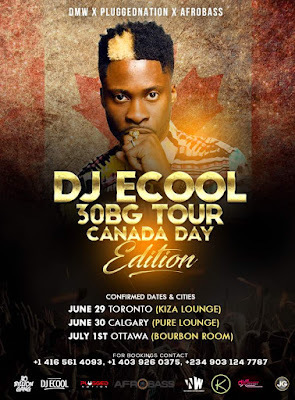 Performing all his songs, a few from Label boss Davido, to DJing and hyping up the crowd, Ecool is ready for this Canada tour. Special guests for his Canadian tour dates have yet to be announced while DJ ECool continues to tour the world.